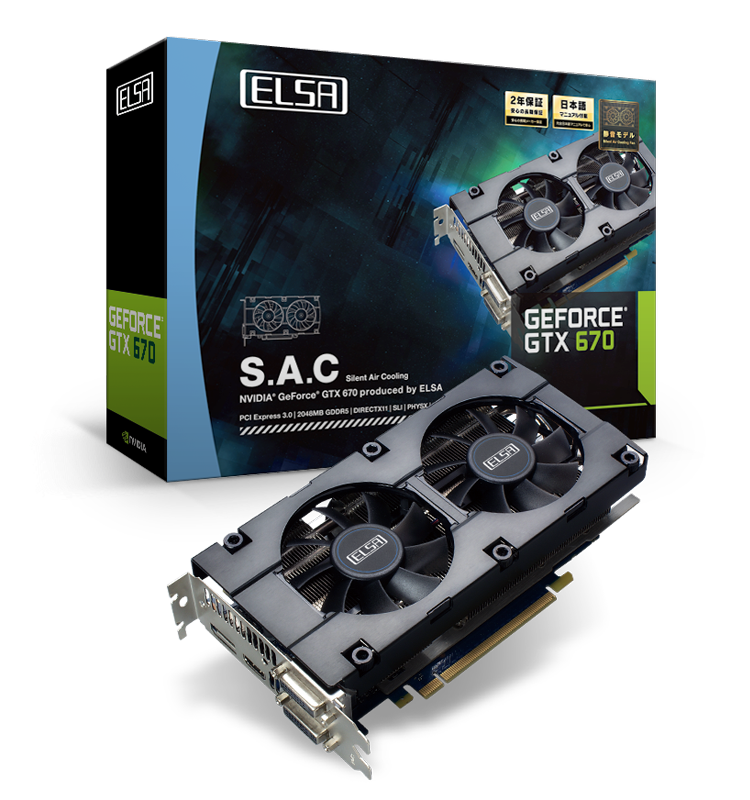 ESLA, An NVIDIA AIC partner today added two GeForce 600 Kepler based products to its inventory – The 4GB GTX 680 and GTX 670 SAC (Silent Air Cooling) Edition graphic cards. The GeForce GTX 670 SAC makes use of a custom designed cooler made for silent operation while providing high airflow. The cooler shroud is completely removable which allows users to clean dust easily. The GTX 670 SAC sticks to the reference specs of 915MHz/980MHz Core/Boost clock and 6GHz effective for the 2GB GDDR5 memory. A pair of 75mm fans convey heat to the aluminum fin block underneath it with an operating noise of 12 dBA lower than the reference model which helps cool it down further 12°C. Launch is expected around August 11th. The compact board size is about 4cm from the reference model. 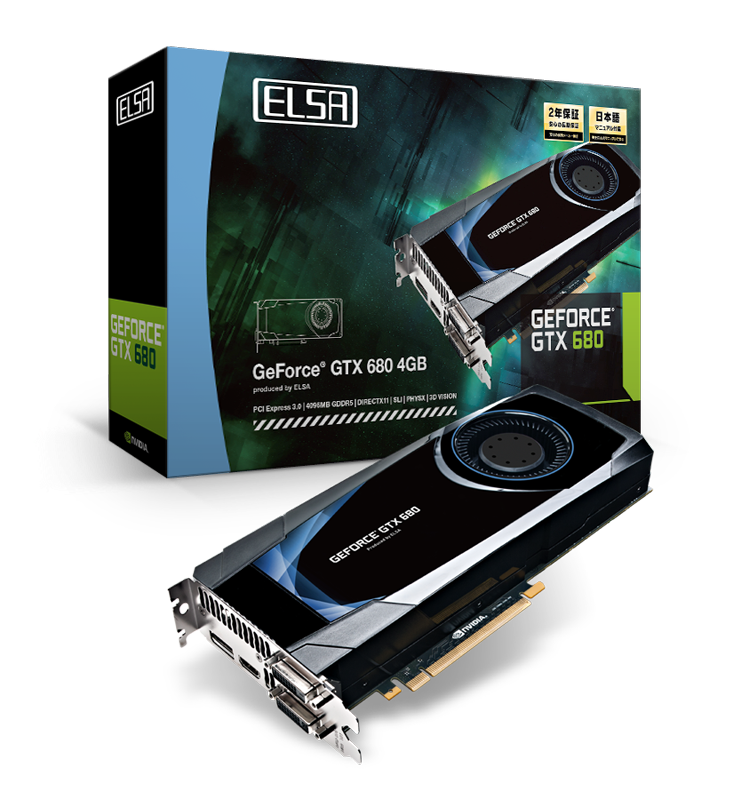 The other model launched by ELSA is a 4GB variant of the GeForce GTX 680 which also sticks to the reference design. It runs at 1006/1058MHz Core/Boost and 6GHz effective frequency for the memory.